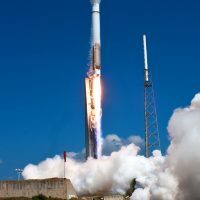 The Atlas V is a medium- to heavy-lift launch vehicle operated by United Launch Alliance (ULA) that delivers payloads for the United States government and commercial customers. 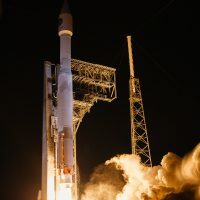 It was originally developed by Lockheed Martin to meet the requirements of the U.S. Air Force’s Evolved Expendable Launch Vehicle (EELV) program. 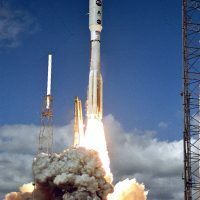 The rocket is derived from the long-lived family of Atlas intercontinental ballistic missiles and launch vehicles flown from the 1950s to the 1970s. 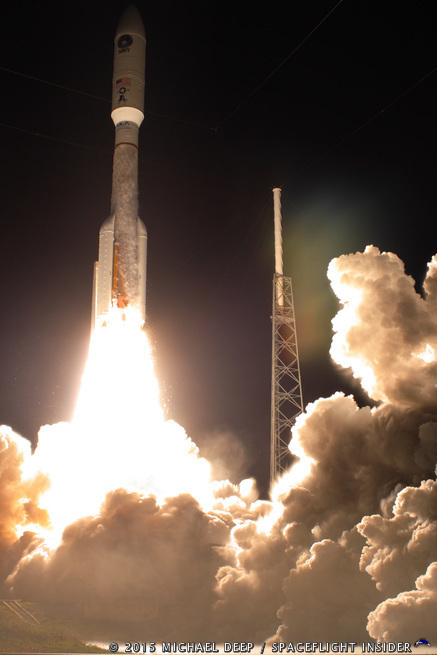 Since its debut in 2002, the Atlas V has launched dozens of satellites for NASA, NOAA, the Department of Defense, the National Reconnaissance Office, and various commercial customers with an extremely high success rate. 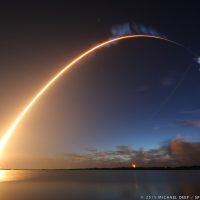 The flexible Atlas V platform has launched payloads from low Earth orbit (LEO) to highly elliptical orbit (HEO), geostationary transfer orbit (GTO), and Earth-escape heliocentric orbits (HCO) that take spacecraft to other planets in the solar system. 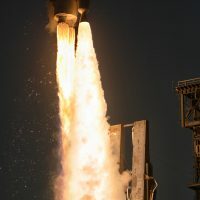 ULA launches the Atlas V from Space Launch Complex 41 at Cape Canaveral Air Force Station, Florida and Space Launch Complex 3 East at Vandenberg Air Force Base, California. A typical Atlas flight begins with the launch team being polled at around the T-minus four minute mark. Once the vehicle, spacecraft, ground systems, range, and weather requirements have been cleared, the countdown sequence is allowed to resume. 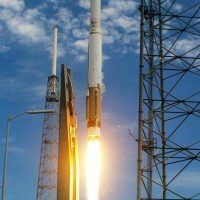 This culminates in the ignition of the sole RD-180 rocket engine and any solid rocket motors that the rocket might be using. 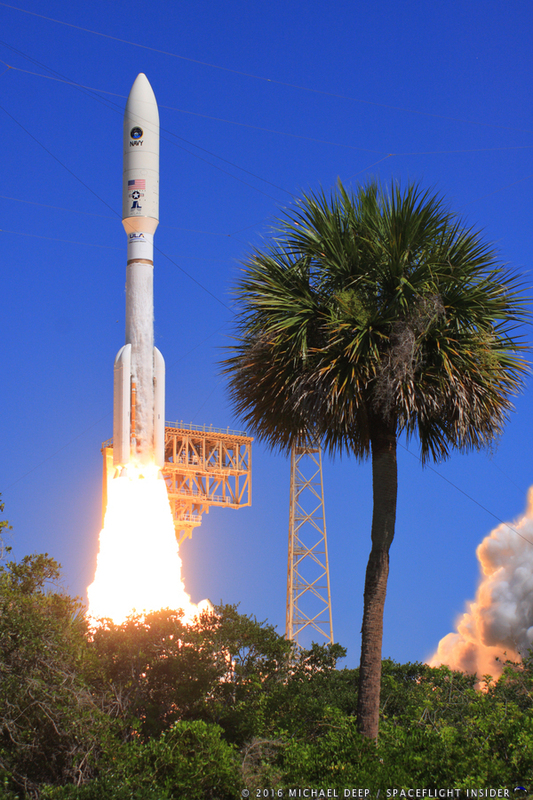 The RD-180 typically activates at T-2.7 seconds. 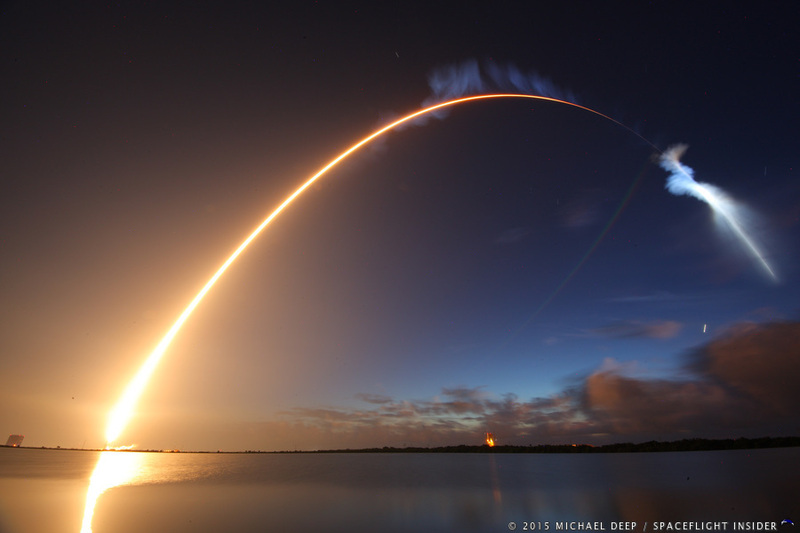 After it clears the tower, the Atlas V conducts a pitch/roll maneuver as it arcs out over the ocean. 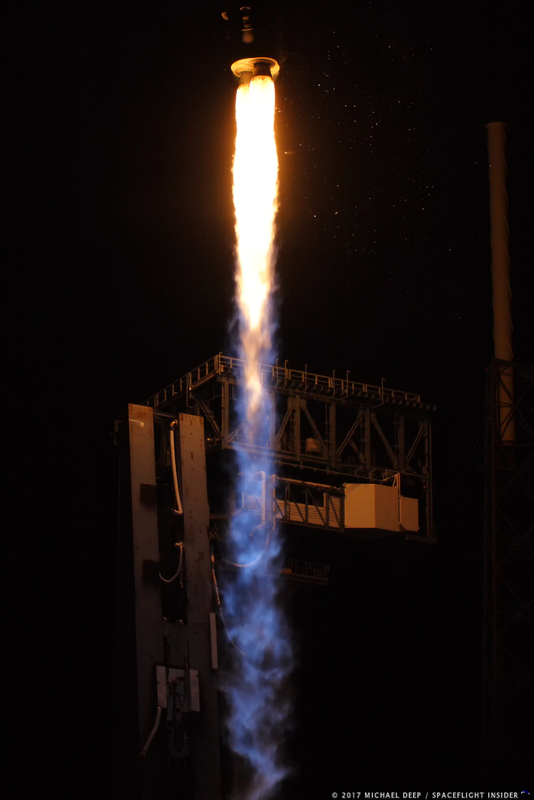 The solid rocket motors burn out after approximately two minutes and are jettisoned, plummeting down to the waters below. 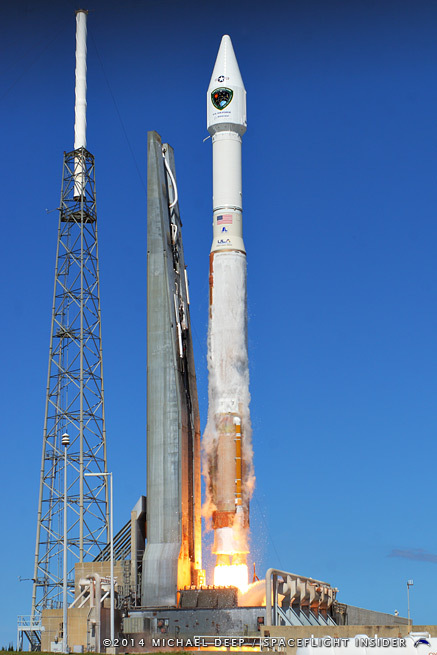 The RD-180 continues to burn for a total period of about four minutes. After engine cutoff, staging occurs and the core stage detaches and falls back to Earth. 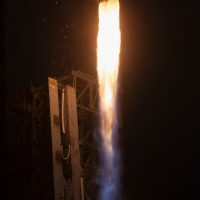 At this point, the RL10 Centaur engine takes over, burning anywhere from three to five minutes to reach a parking orbit before entering a “coast” phase. After this phase, the Centaur engine is typically reactivated for a second burn to propel the payload to its intended destination. Upon completion of its role in the mission, the Centaur upper stage also detaches and falls away from the payload. 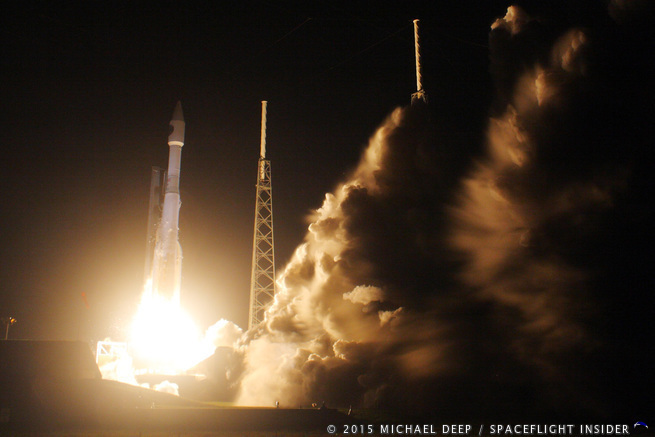 After clearing the launch facility, Atlas V makes a pitch/roll maneuver to arc toward the ocean. 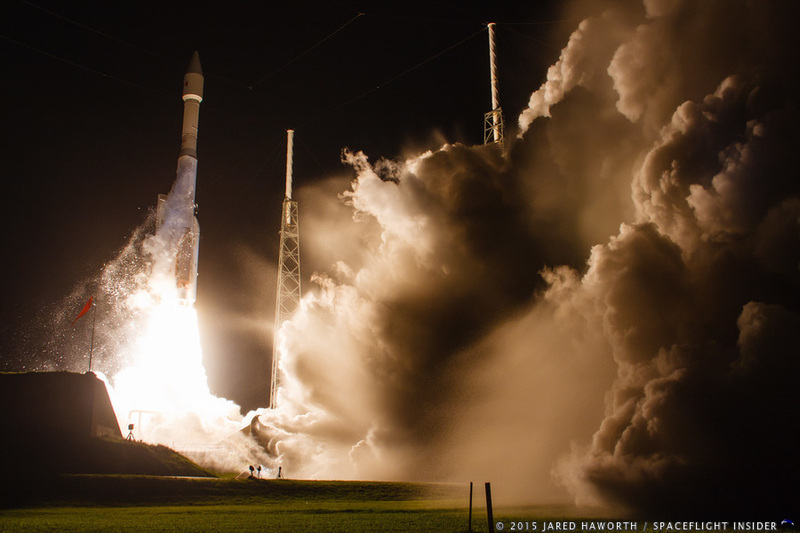 The solid rocket boosters burn out after approximately two minutes and are then jettisoned. 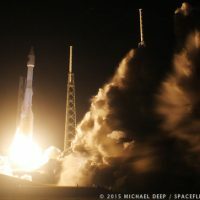 The booster (first) stage engine cuts off after approximately T+4 minutes. This is followed by booster separation and ignition of the Centaur upper stage engine. The payload fairing is typically ejected within ten seconds of Centaur ignition. 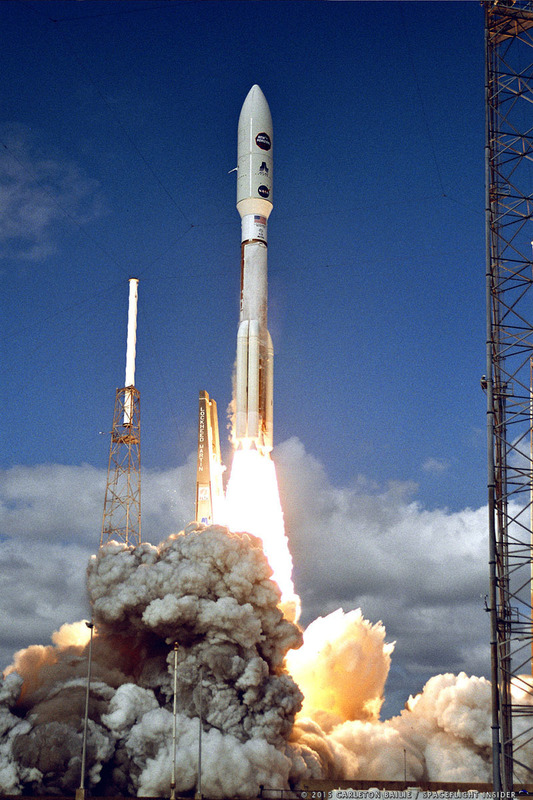 Centaur burns for another three to five minutes to reach a parking orbit in LEO. 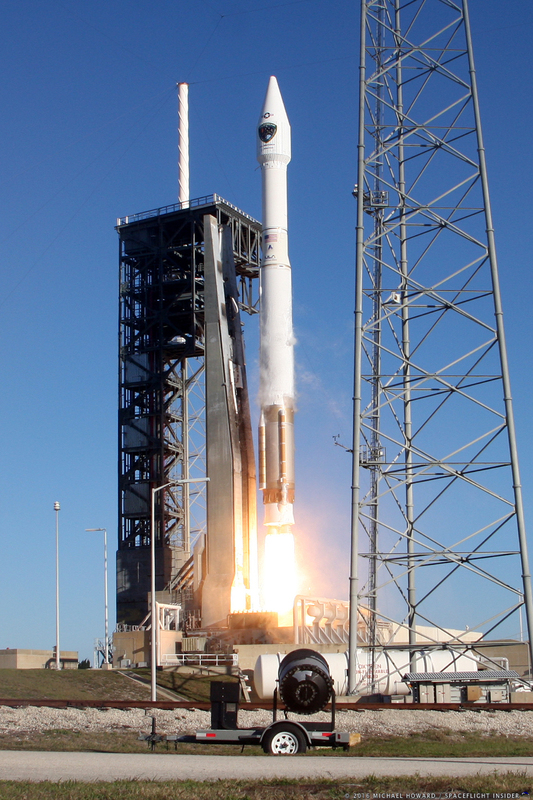 After a coast period, Centaur will then ignite a second time to propel the payload into its destination orbit. At the appropriate time after second main engine cutoff (MECO), the payload separates from Centaur and continues onto its intended orbit or destination. 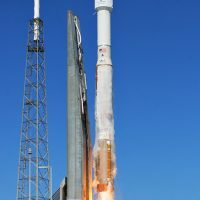 The Atlas V has been in service since 2002, when it sent the Hotbird 6 communications satellite into geostationary transfer orbit (GTO) on August 21 of that year. 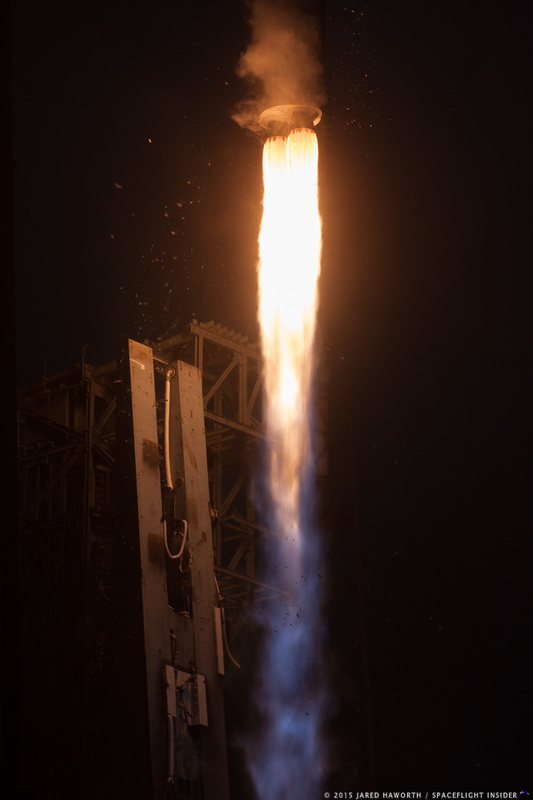 For NASA, the rocket has enabled unprecedented investigations of the planet Mars, a critical task if the U.S. space agency is to send astronauts to the Red Planet by the 2030s. 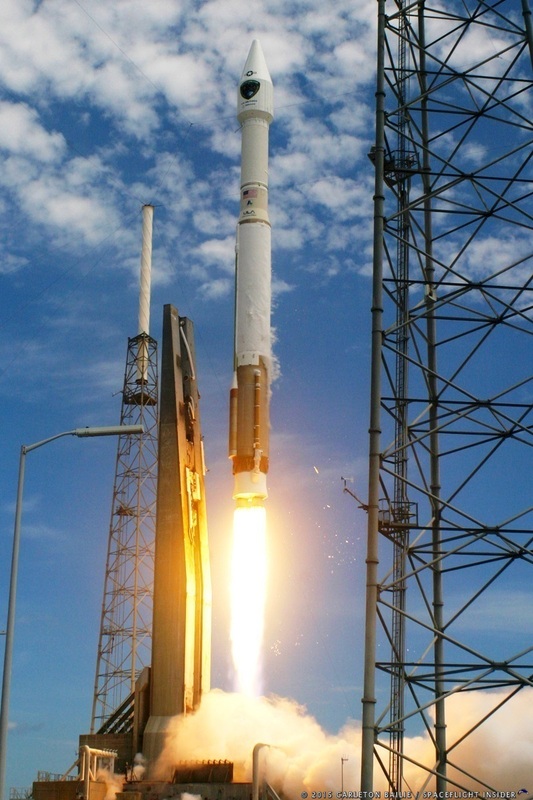 On August 12, 2005 NASA’s Mars Reconnaissance Orbiter roared to orbit atop an Atlas V 401. 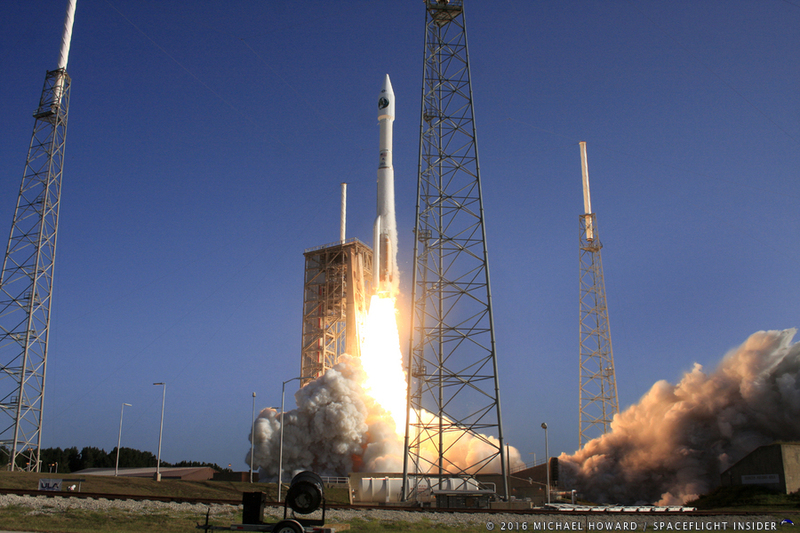 On November 26, 2011, an Atlas 541 launched NASA’s Mars Science Laboratory mission to deliver the Curiosity rover to the Martian surface. 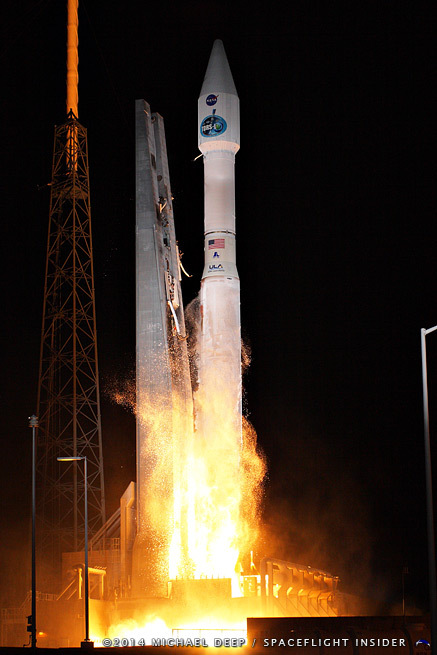 Both missions have been instrumental in the study of Mars. 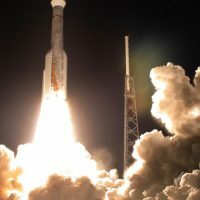 Less than half a year later, on January 19, 2006, an Atlas V 551 was used to send the New Horizons probe to the Kuiper Belt and its primary target of a flyby of the Dwarf Planet Pluto. 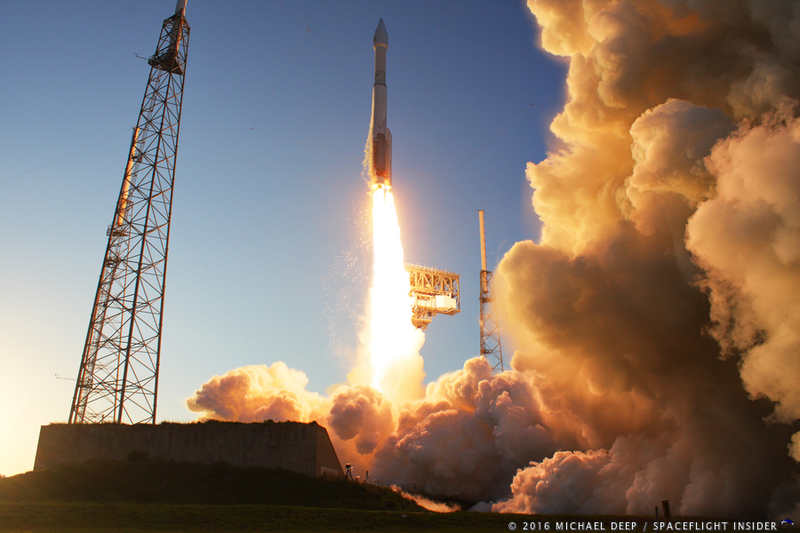 This mission stands out as the only Atlas V launch with a third stage (New Horizons would go on to successfully fly by Pluto on July 14, 2015). 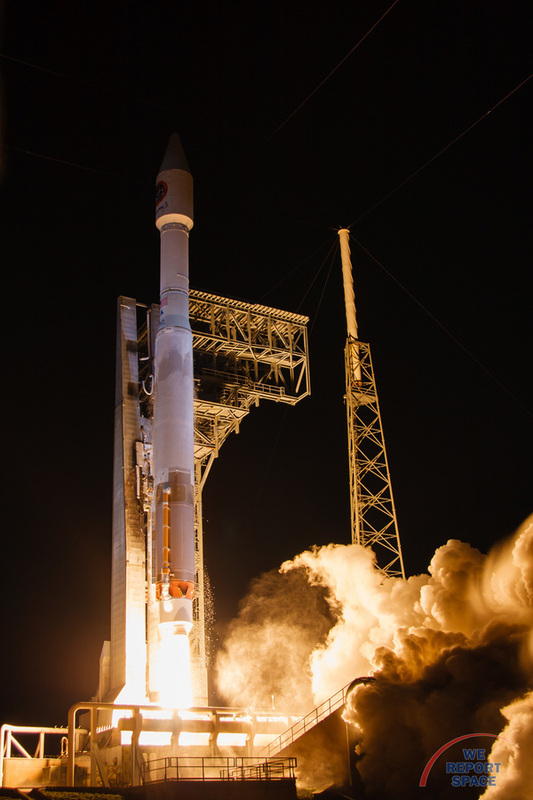 The 401 variant of the Atlas V was tapped to fly its heaviest payload on December 6, 2015 when it lofted one of Orbital ATK’s Cygnus spacecraft on a cargo resupply run to the International Space Station. The mission flew some 7,492 kg (16,517 lbs) of cargo. 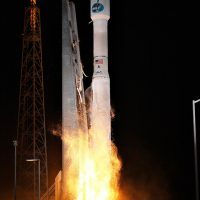 The Atlas V has been tapped to fly missions to the Moon (Lunar Reconnaissance Orbiter) and to asteroids (OSIRIS-REx Asteroid Sample Return Mission) as well as spacecraft to study the Sun (Solar Dynamics Observatory). 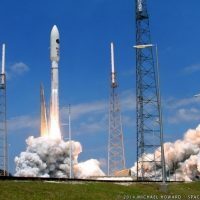 The rocket has also been used to launch an array of Global Positioning Satellites, commercial payloads, clandestine missions for the National Reconnaissance Office, and the U.S. Air Force’s secretive X-37B Orbital Test Vehicle. 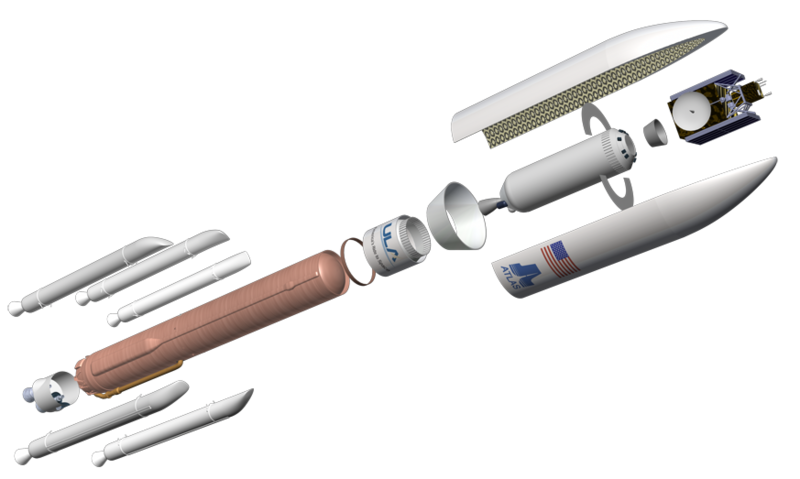 Exploded view of an Atlas V in its ultimate 551 configuration. 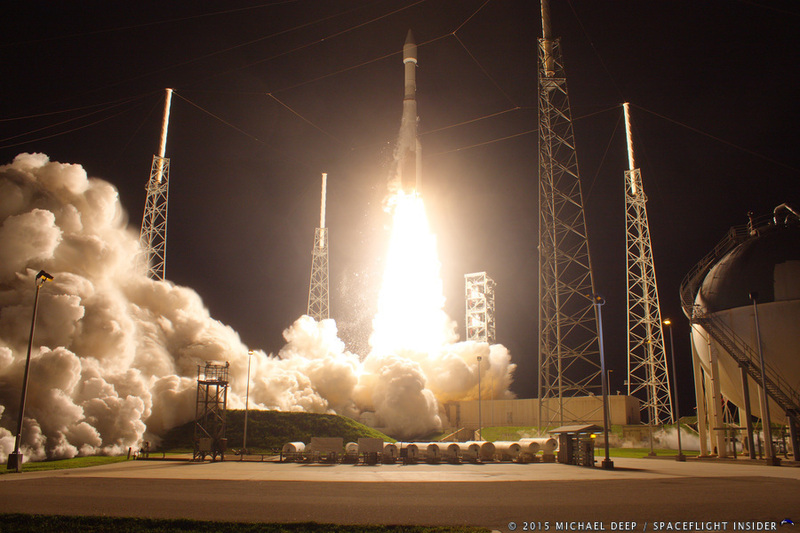 ULA flies the Atlas V in multiple configurations within two series: 400 and 500. 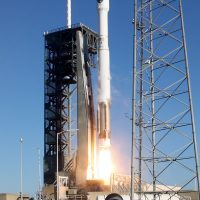 The nomenclature is determined by the size of the payload fairing (First digit), the number of solid rocket boosters (Second digit), and the number of engines on the Centaur upper stage (Third digit). 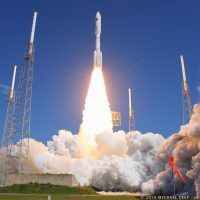 For example, the Atlas V 541 configuration uses a five meter payload fairing, four solid rocket boosters, and a single engine on the Centaur upper stage. Additional launch capabilities of the Atlas V’s configurations appear in the table below. 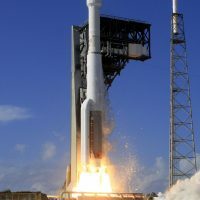 The primary Atlas V booster is a 106.5-foot (32.46-meter) long, 12.5-foot (3.81-meter) diameter first stage using liquid kerosene/liquid oxygen propellants. The stage is powered by a single Russian-built RD-180 engine, rated at 860,000 pound feet of sea level thrust (3,825.5 kN). 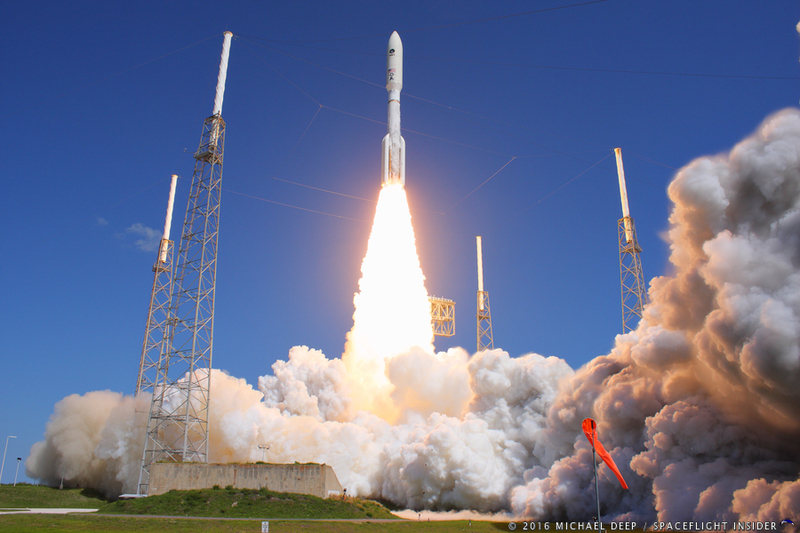 Depending on its configuration, the Atlas V can also include anywhere from one to five Aerojet Rocketdyne-produced AJ-60A solid rocket boosters, each rated at 380,000 pound feet of sea level thrust (1,690.3 kN). 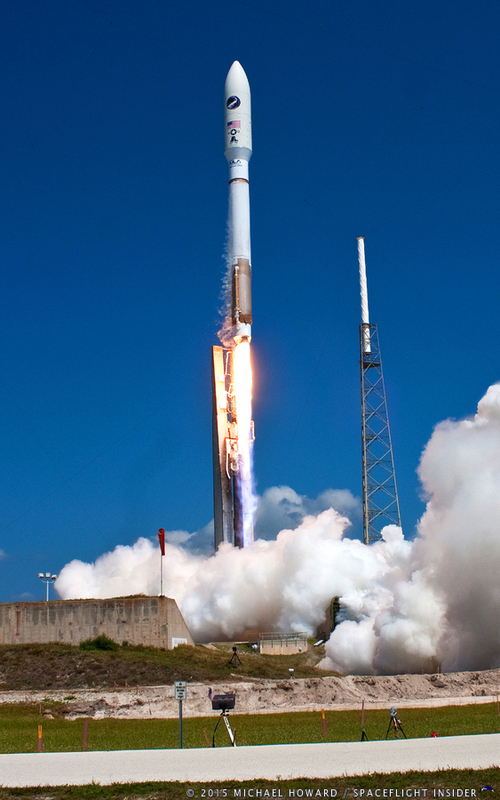 The second stage of Atlas V consists of the venerable Centaur upper stage, which is powered by a single Aerojet Rocketdyne RL10 liquid hydrogen/liquid oxygen engine. This combination of powerplants is topped with a variety of payload fairings. Vertical interior spaces in these fairings range from 1.3 feet (0.4 m) to 2.1 feet (0.63 m) long, with some conic-section constrictions to accommodate multiple payload shapes and sizes. 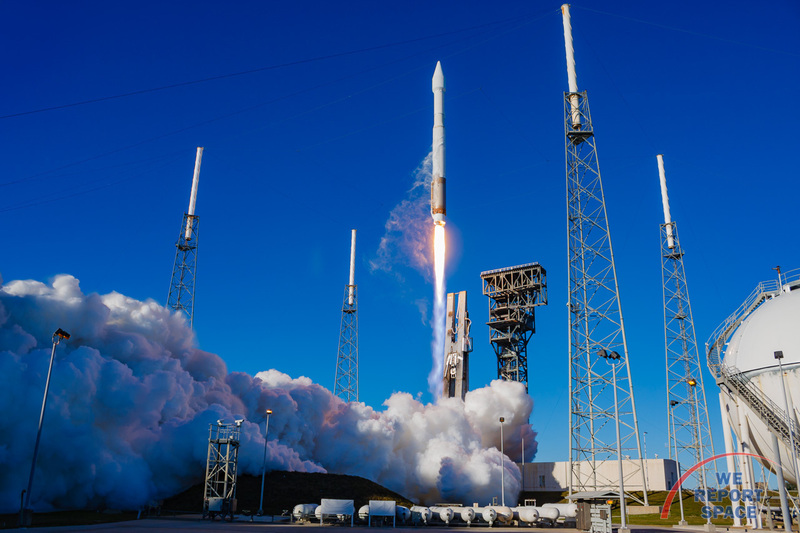 Despite having a nearly flawless operational record, the Atlas V not been subject to NASA’s human rating standards for carrying astronauts. This is now changing, as Boeing has chosen the Atlas V to be the primary launch vehicle for the CST-100 Starliner spacecraft. The first uncrewed test of an Atlas/Starliner configuration is scheduled for 2017, with the first crewed flight test scheduled for 2018. Despite its origins as a nuclear missile confronting the Soviet Union, Atlas now uses a Russian-built RD-180 engine in its first stage. 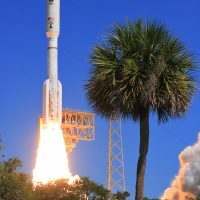 Because of the sensitive nature of many of the payloads, and the currently unsettled political relationship between the U.S. and Russia, both the governments have tried to block ULA from continued use of the RD-180 with national security payloads. 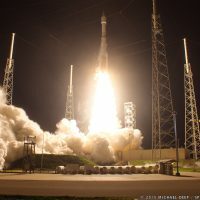 This situation was further complicated by SpaceX filing a lawsuit against the USAF, Boeing, and Lockheed Martin to protest ULA’s “block buy” agreement with the USAF and its use of the RD-180 engine. 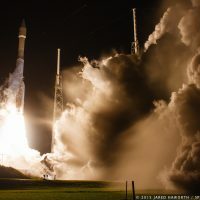 To overcome these concerns over the use of a Russian-built engine, the USAF issued a Request for Information regarding a replacement for the RD-180. 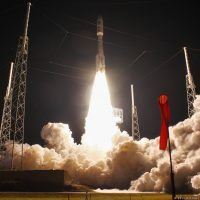 Aerojet Rocketdyne has proposed the AR-1 engine and Orbital ATK has proposed using its Minotaur series of launch vehicles. 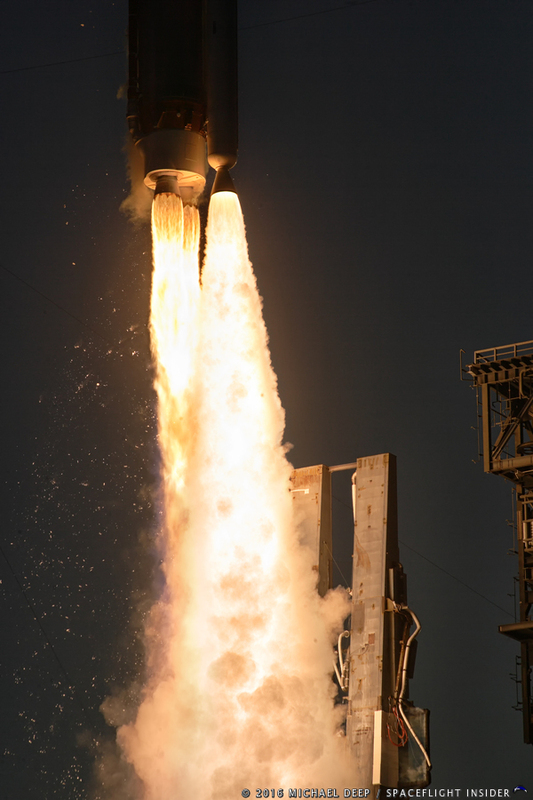 ULA intends to phase out Aerojet Rocketdyne’s AJ-60A solid rocket booster and replace it with Orbital ATK’s GEM 63 as early as 2019. An XL version of this booster is planned for use on the Vulcan. 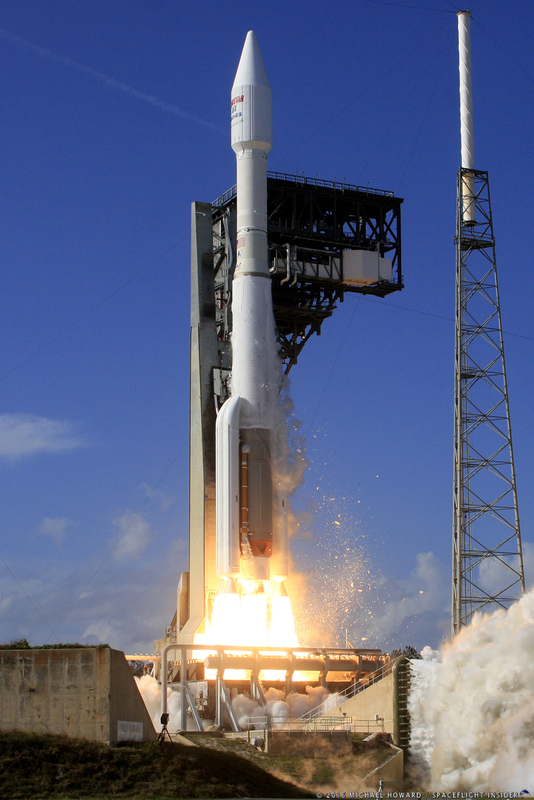 ULA has also been developing a new family of launch vehicles called Vulcan. 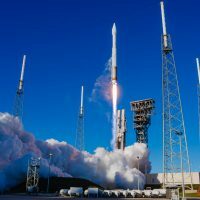 It will be entirely American-made, and will draw on technology from both the Atlas V and Delta IV launch family of vehicles. 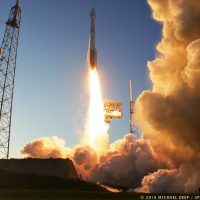 Vulcan will continue to fly Centaur upper stages, allow for up to six new Orbital ATK solid rocket boosters, and will use the Blue Origin BE-4 main engines. The initial phase of Vulcan is planned to fly in 2019. 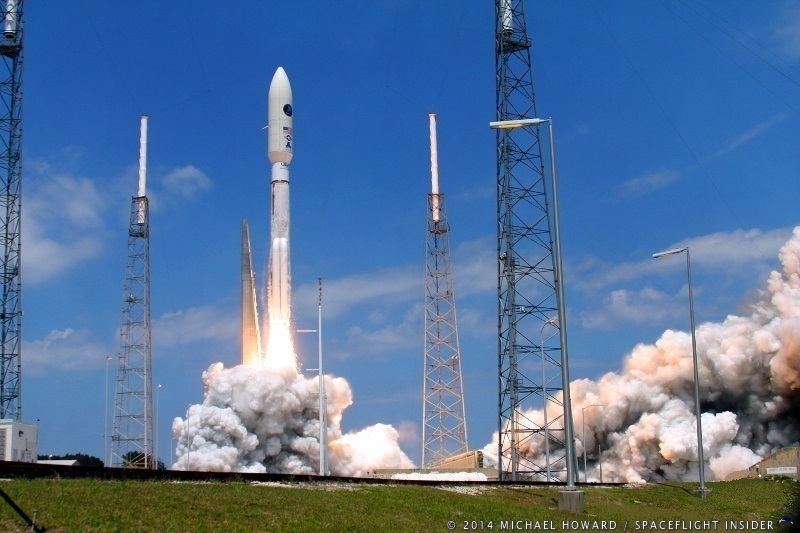 In 2023, ULA plans to fly the four-engine Advanced Cryogenic Evolved Stage, or ACES. 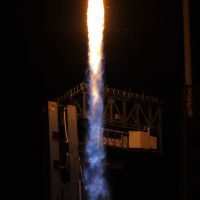 Vulcan will employ “smart reuse” of the first stage, in which recovery would happen after the engine section jettisons from the booster stage and reenters behind a heat shield, followed by a guided parafoil. The Vulcan first stage BE-4 engines would then be recovered in mid-air, allowing them to be reflown. The overall Vulcan launch system could include “distributed launch” for heavy payloads with high energy requirements. 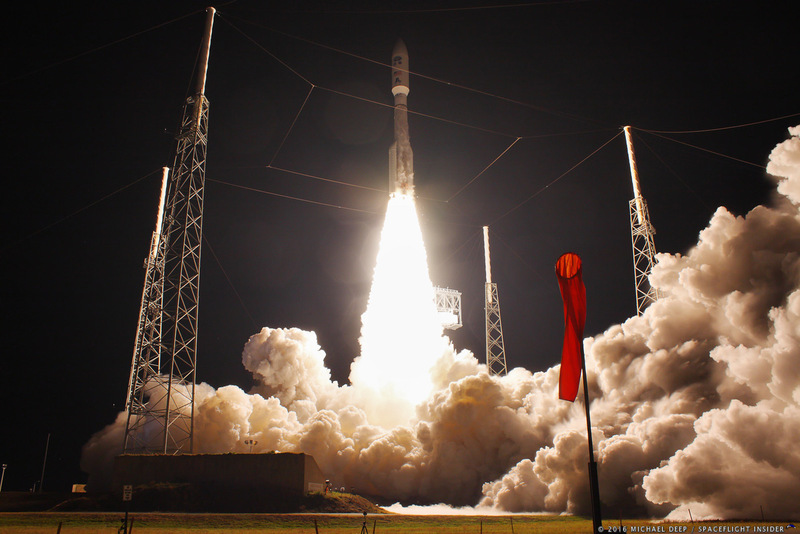 This process would include multiple launches and on-orbit refueling. 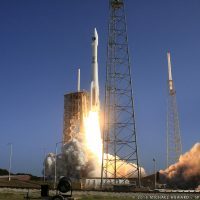 ULA is promising up to 350 percent greater launch capability and 100 times more on-orbit operations at a price tag starting at less than $100 million per launch.